Yeah, we talk about our money all the time! We talk about our money sometimes; we mostly just roll with the punches. We don’t often talk about money. We’ve never had a serious talk about money. Are you married or considering marriage? We’ve been considering marriage, but nothing’s set in stone yet. Do you still rely on your parents? Not unless we have a financial emergency. Yes, but only for small things like insurance and groceries. Yes, we live with my/her parents. Who is a spender, who is a saver? I’m a spender, my partner is a saver. My partner is a spender, I’m a saver. 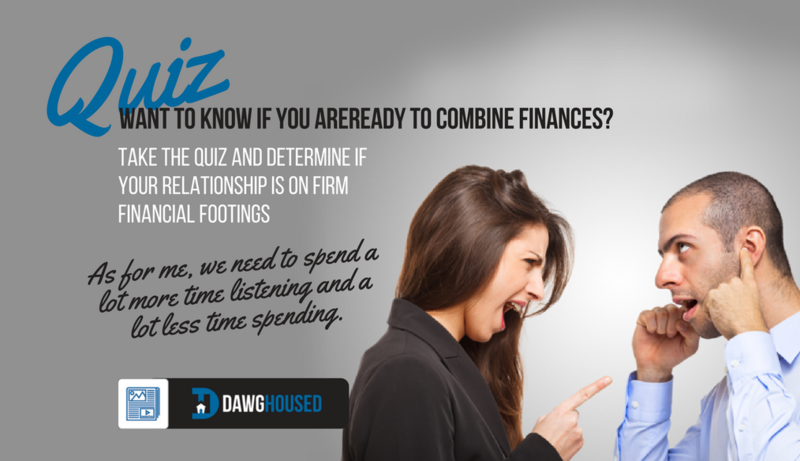 Are you and your partner at all secretive about your individual finances? Neither of us is secretive. 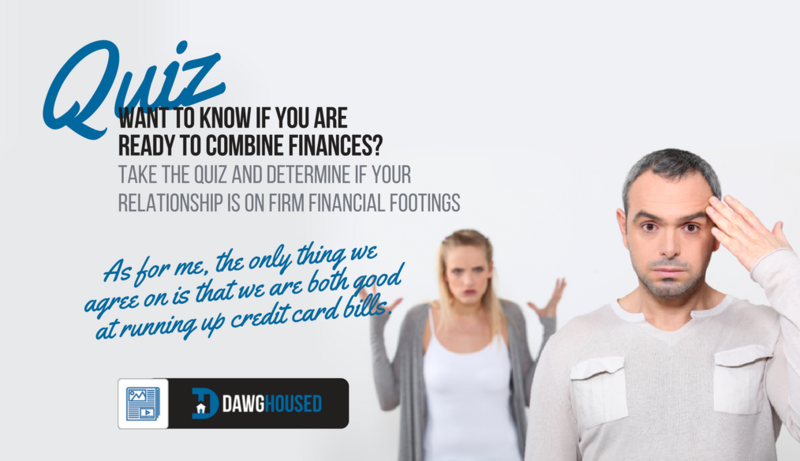 We may not know everything, but I think we both have a pretty good idea of where the other is at, financially speaking. She’s secretive about it, and I don’t know much about her finances. I’m pretty secretive about it. I don’t want her to know the details of my financial situation. We’re both fairly secretive. What’s mine is mine, what’s hers is hers. Do you know how much debt she has? She has very little, or no debt. Nothing she couldn’t manage on her own. She has a little debt, but nothing too serious. Yes, she has a lot. How are you handling your own debt? I’m making payments (more than the minimum payment) monthly. I’m paying the minimum payment to the creditor every month. I’m trying to make minimum payments every month. Are you already sharing expenses of any kind? We split a fair amount of regular expenses such as rent, utilities, car, or insurance payments. We split a few things, but not living expenses. We keep things mostly separate. Occasionally we’ll split something, or help each other out with a payment. We don’t share expenses of any kind. 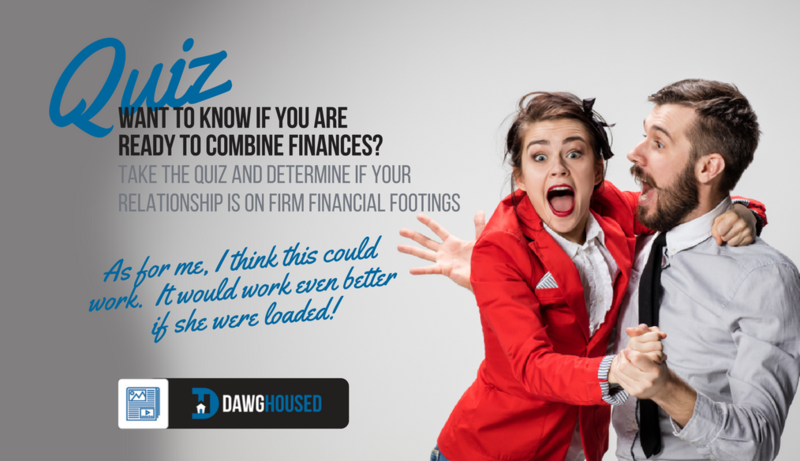 Are you both aware of what the other’s financial history looks like? Yes, we are. Nothing to worry about on either end. I know what hers looks like, but I have some skeletons in my closet she doesn’t know about. She knows what mine looks like, but she’s pretty tight-lipped about hers. No, not at all. We don’t talk about it. Do you have similar financial goals? Yes. We have discussed and are aligned on these goals. Sort of, we know where we want to be in the end, but we have different ideas about how to get there. Kind of, we know the big picture, but we haven’t talked about an action plan. If “owning a jet ski” is a financial goal then hell yes! We’re saving toward a better future by paying off all our debt, investing in stock, and putting money toward retirement. We’re actively working on building a savings account, but with no real end. We have dreams of buying a house. That jet ski is within my grasp. I can feel it! Do you know how much money she earns from working? We earn about the same amount. I do, she earns significantly more than I do. I do, she earns significantly less than I do. It doesn’t sound like you have a solid handle on things. Either you haven’t had much conversation about, or you haven’t though nearly enough about your financial goals. In any case, you should probably get a handle on things before you make the jump. Neither of you sound like you’re on solid ground, and there may be a few things you don’t know about that can throw a wrench into the works. Throttle back, killer. Make sure you’re both communicating about your financial situation with each other before you dive in head-first. If you’re less than fully aware of what you’re jumping into when combining your finances, you need to take a step back and communicate both your goals and the skeletons in your closets. You’re doing okay, but a few conversations and some serious real talk is in order. Maybe chat with a financial planner and see what they think? 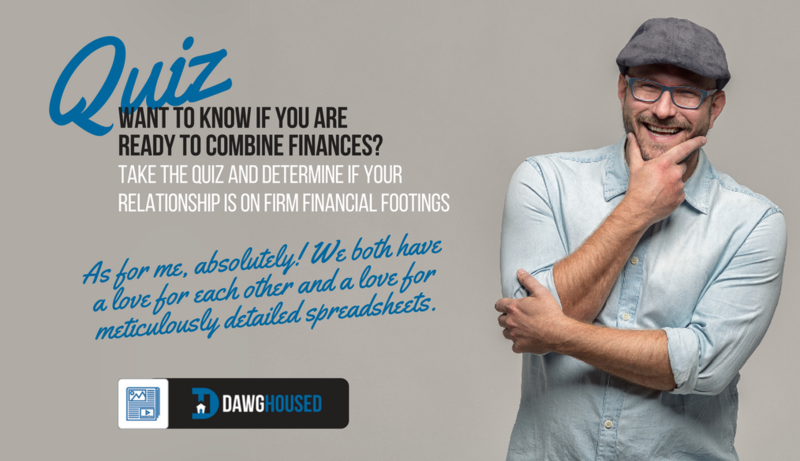 On the whole, you both seem like you’re in a pretty good place financially. This COULD work, but that doesn’t mean it definitely will, or that you definitely should. Have a few conversations with one another and lay it all out. Talk about earnings, savings, debt, expectations, plans, goals, etc. This is a time for honesty, so put it all out there. A chat or two with a financial planner would be a good idea as well. You know, it sounds like you’re already part of the way there, so why not take the plunge? You two clearly have a handle on your personal finances and what’s more, you’re already sharing the burden for a few expenses. You may still want to talk things over with a professional before making the final plunge, but for now it seems like you’re on the right track. Grasshopper, you are ready.